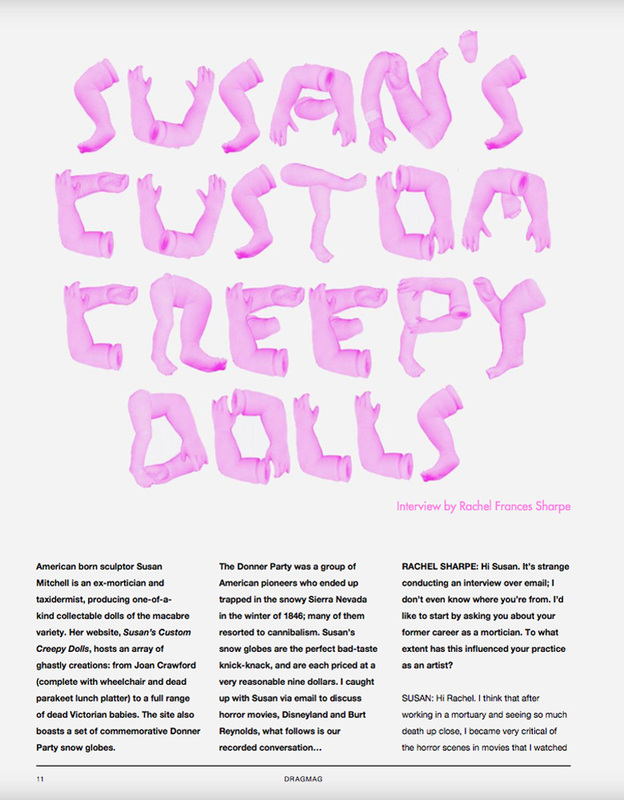 The "Robert" movies, featuring the dolls I created. The Robert doll is not for sale, but more of my creations are available on the sale page. 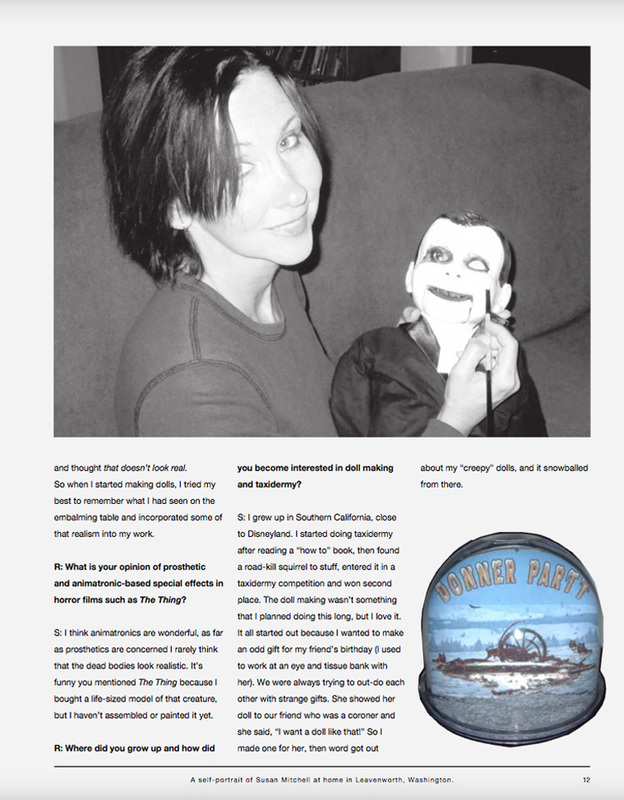 Susan Mitchell interview with DRAGMAG (Now Issuu magazine).